With rare genetics like Triangle Kush and Animal Mints in it’s lineage, it’s no wonder why Wedding Cake is such a showstopper. This killer combination has produced one of the most sought-after cultivars of our day. Checking all the boxes Wedding Cake sets itself apart with huge yields of extraordinarily fragrant and tasty flowers that produce incredible hash. Cake N Chem unites the mouthwatering flavor and insane bag appeal of the Wedding Cake with the potency and heavy yields of the Stardawg. Yet another excellent addition to the Wild West Series. 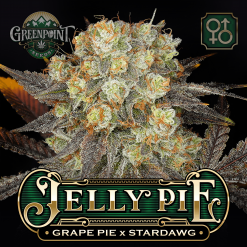 Created by legendary breeder Jbeezy the Wedding Cake is a legendary strain in the cannabis community. 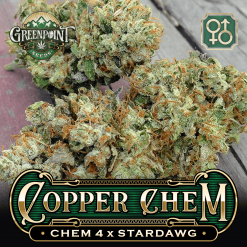 With rare genetics like Triangle Kush and Animal Mints in its lineage, it’s no wonder why this strain is such a showstopper. This killer combination has produced one of the most sought-after cultivars of our day. The elusive Triangle Kush hails from Oviedo Central Florida, the epicenter of cannabis in the early 2000s. Animal Mints is like a dump truck full of Cookie genetics with the boosted yield from the Blue Power. Combining the TK with Animal Mints created a strain so grand and glorious its attributes could be summed up as a delicious slice of Wedding Cake. Checking all the boxes Cake N Chem sets itself apart with huge yields of extraordinarily fragrant and tasty flowers that produce incredible hash. 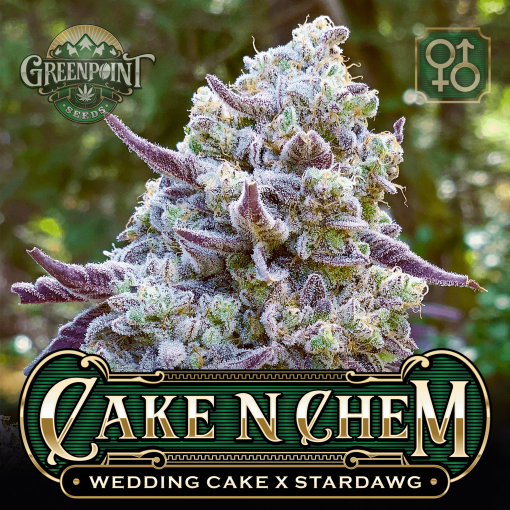 Cake N Chem unites the mouthwatering flavor and insane bag appeal of the Wedding Cake with the potency and heavy yields of the Stardawg. Yet another excellent addition to the Wild West Series. This powerhouse cross is fun to grow and easy to train. Therefore, Cake N Chem is an excellent cultivar for all levels of growers. 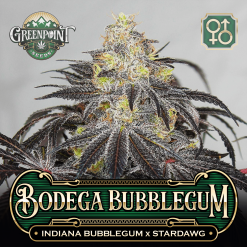 As flowering progresses you will be overjoyed that a bountiful harvest of sticky resin-coated buds in is your near future. After harvest, you will be blown away at the bag appeal of this variety. Beautiful spear shaped buds that glisten with resin flecked by bright orange in an almost sugar rolled appearance. When you open your jar a piercing aroma of vanilla cake swirls while sweetening the air around you. Cake N Chem is an excellent cultivar for fighting stress and depression. It will make you feel relaxed while stimulating your appetite and relieving nausea. 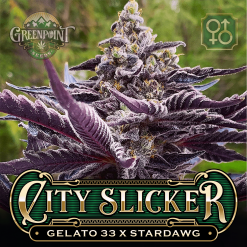 Combining the Wedding Cake with the Stardawg for Cake N Chem could likely produce some incredible new aromas and even higher yields with many similarities to the parents. Don’t miss out on your chance to add Cake N Chem to your garden before it’s too late. 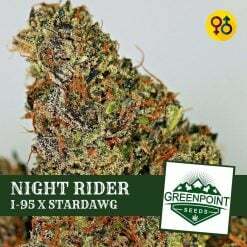 Looking for more Triangle Kush try Tombstone! Want more cookies? Try the Cookies tag. 5 out of 58 people found this helpful. Was this review helpful to you? I believe this to be a legendary cross in the making. I have kept a eye out for a Cake-Stardawg creation & to my surprise in the last 2 years no one has done it. 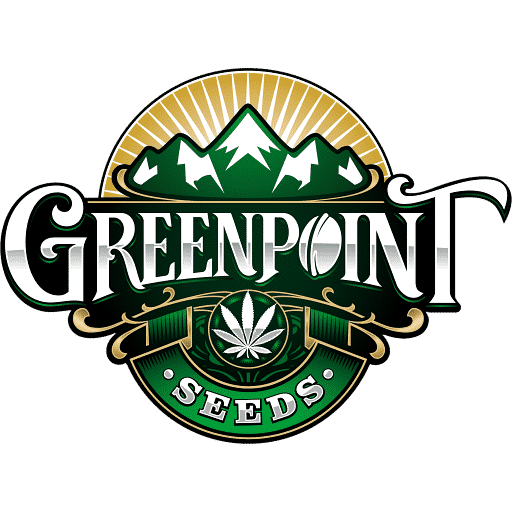 I thought to myself will Greenpoint ever attempt to make this? I believe this to be a Frosted out high yielding treat that will bring the best of both worlds to the table. The right phenotype of this cross would be something I would fill my entire room with anticipating Frosted out super high yields of the most potent all around heavy-hitting medicine one could ever dream of. 8 out of 30 people found this helpful. Was this review helpful to you?